Waterloo Region is an active, thriving place to live, work, study and invest. Immigrants come from all over the world to make Waterloo their home in Canada. An hour’s drive from Toronto, the area offers a mix of modern cities and beautiful countryside. 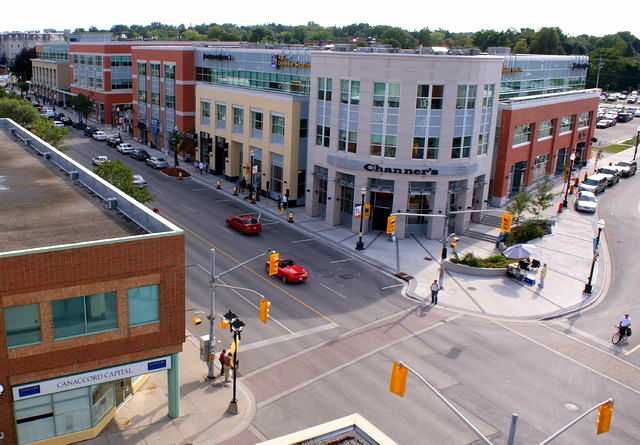 500,000 people live in Waterloo Region which is made up of the three bustling cities of Cambridge, Kitchener and Waterloo, plus four scenic predominantly rural townships of North Dumfries, Wellesley, Wilmot and Woolwich. Waterloo’s climate is termed humid continental. The area enjoys four distinct seasons, with predictable weather patterns, warm summer months and moderate winters. Winters usually last from mid-December to mid-April and snowfall is not over abundant, with sunny skies being common. The average high in January is -3.1°C and in July rises to 25.9°C. As you are in the process of choosing the best city in Canada for you, join us at the upcoming Settling in Canada Online Fair. You’ll learn all about the careers and government funded training that is available by province so that you can make an informed choice on where to live. In the auditorium, you can watch some very informative webinars where you can learn everything from interview techniques to how to choose a settlement agency that is right for you. The exhibit halls are where you find the booths, Each one of these is packed full of downloadable resources and other tools that will allow you to settle in Canada with great ease and comfort. Remember to Register Now to avoid missing out on this great career opportunity. The Grand River Transit public transportation system within the Waterloo Region relies on a bus system. For maps, routes and schedules, click here. The cost of taking public transportation varies depending on the route, method and distance. Click here for a list of fare prices. There is access to Toronto with GO Bus and Train services. For information on driving in Waterloo and how to get a licence, see Driving. Waterloo Region is protected by the Waterloo Regional Police Service. Dialing 9-1-1 is only to be used in emergency situations. An emergency is any situation that requires immediate assistance from the police, the fire department or an ambulance. If you know your situation is not a life-threatening emergency or a crime in progress, then call the other phone line 519-653-7700. Waterloo Region is home to many places of worship, providing faith communities across the city with reflective spaces. For a list of churches and other places of worship in Waterloo Region, click here.